Home » Blog » Why should we use bamboo socks? Why should we use bamboo socks? Today, awareness of healthy life trend, that became widespread, has started to have a significant effect on socks designs. Especially the people who attach importance to feet health and stylish appearance prefers bamboo socks designs. Thanks to the bamboo socks produced by our firm, people have the chance to have a stylish combination while protecting health of their feet. What are Those Bamboo Socks? Why are They used? Bamboo socks are preferred very often by men and women today. 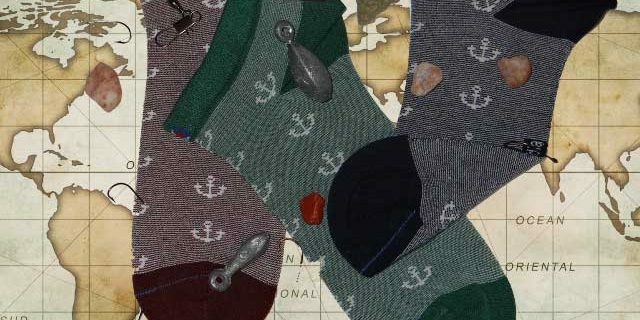 The fabric that is distinguished by its antiperspirant feature, used for the designs of babette socks. Bamboo socks, as a key to the feet care, prevent foot odor and provide warmth for the feet. Our firm maintains presenting those bamboo socks to your taste with the suitable qualifications of style, design and texture by producing those in a way which you can easily add to your stylish combinations. Bamboo socks are made out of bamboo threads. This type of threads are convenient for knitting and weaving processes and they can be used by mixing with other fabrics. Bamboo threads become prominent with its antibacterial qualification. It becomes a shining and different apparent when the thread is painted. These durable bamboo socks do not cause allergy on skin and prevents diseases like athlete’s foot, chaffage and nips. Bamboo socks, which you can combine stylishly with your clothes, are the first pieces that comes to mind when socks trends have been mentioned. -Bamboo socks are made out of bamboo fibers. Because of this, it does not sweat feet of people and provides warmth. -Bamboo socks do not cause allergy. -Bamboo socks are durable and suitable for being painted by any desired color. Our firm performing preparation for presenting bamboo socks to the international market. Our brand, which is known by its qualified products, provides stylish combinations and keeps feet of people warm. Our firm is planning to be active in international market with the collection named as PISIDIA and announce bamboo socks to the entire world.